VPR’s Jane Lindholm talks with Chip Darmstadt, Executive Director of the North Branch Nature Center in Montpelier, about this year’s early start to the amphibian migrations around the state. In the spring, many species of frogs and salamanders make their way from higher ground down to the vernal pools where they mate. 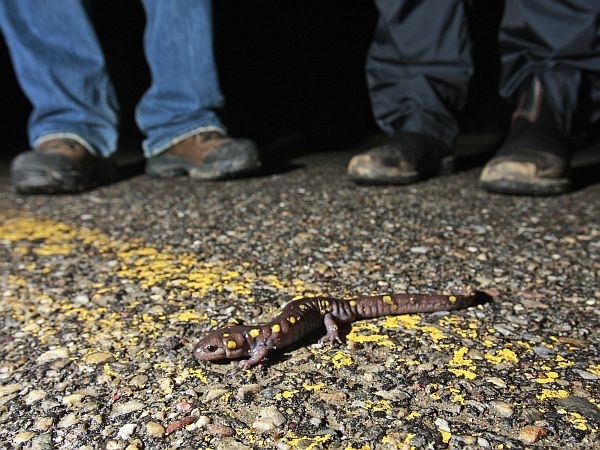 This year, with the mild winter carrying over to a mild spring, amphibians are on the move earlier than normal. We learn about what species are migrating and how citizen scientists can help protect critters from becoming casualties on Vermont’s roads.